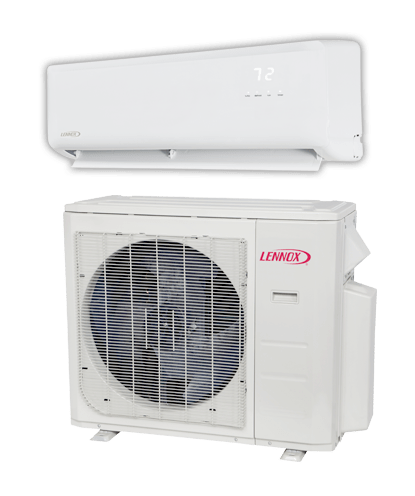 The comfort you need, anywhere you need it – A Lennox® MPB mini-split heat pump is ideal for spaces like sunrooms and add-on rooms where installing or extending ductwork isn’t practical. And with efficiency ratings of up to 24.50 SEER and 11.50 HSPF, it can keep you comfortable with exceptional efficiency. It may even make you eligible for money-saving rebates. Constant efficiency, even when the weather changes – Inverter technology adjusts motor speed based on outside and inside temperature changes. The speed adjusts in small increments, assuring smooth and efficient operation, with minimal temperature swings. Smooth inverter technology – Ensures quiet operation and keeps cooled or heated air flowing without the typical starts and stops of conventional systems, virtually eliminating temperature swings. 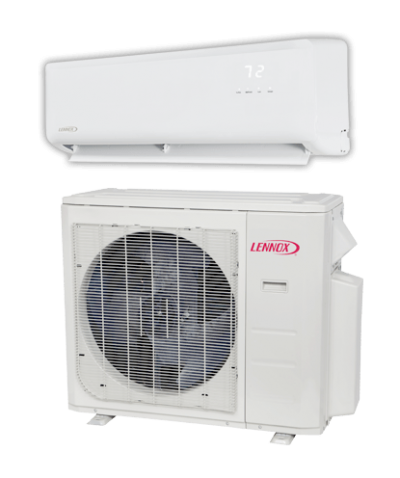 Select mini-split heat pumps also offer outstanding cold-climate capabilities, operating in temperatures as low as -30°C.